How great is it when 5:00 rolls around and you realize that you already have dinner waiting in the fridge. 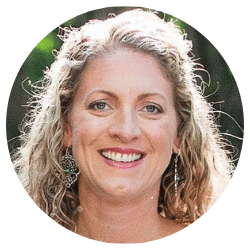 IT’S THE BEST- like a Mom miracle! 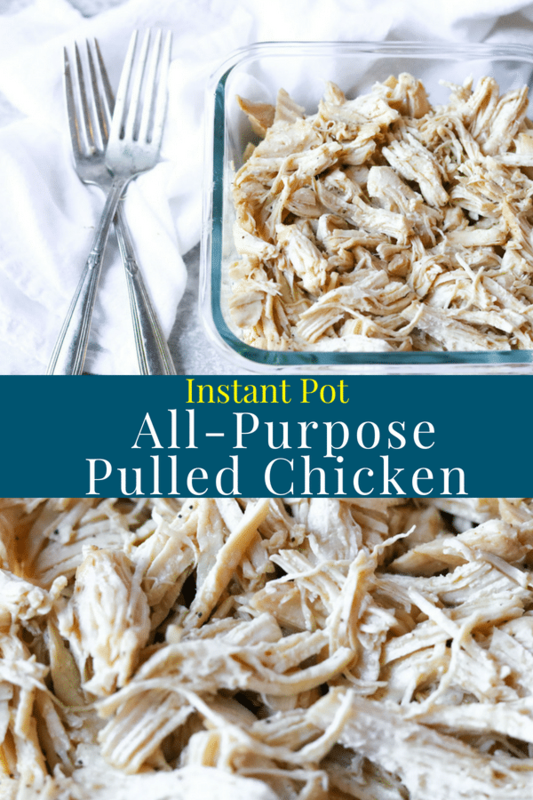 That is one reason I love this recipe for INSTANT POT All-Purpose Pulled Chicken. 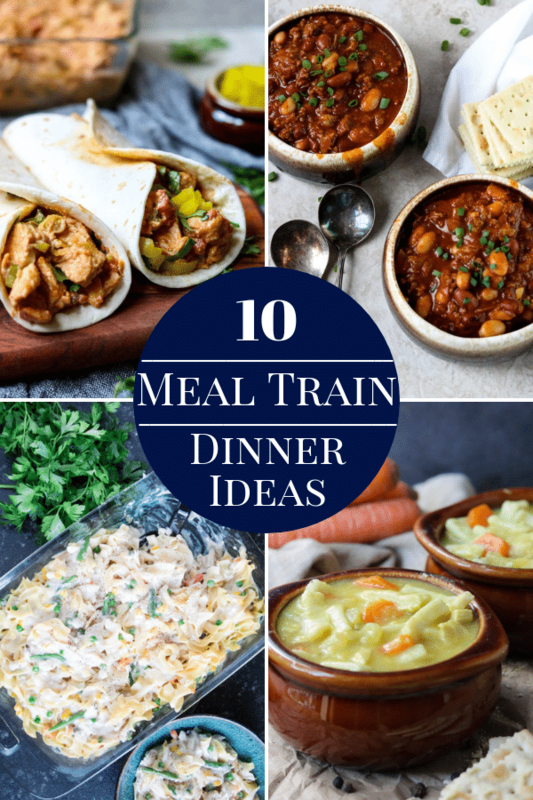 You can make it on the weekend, put it in the fridge, and then use it thru the week for a quick dinner. 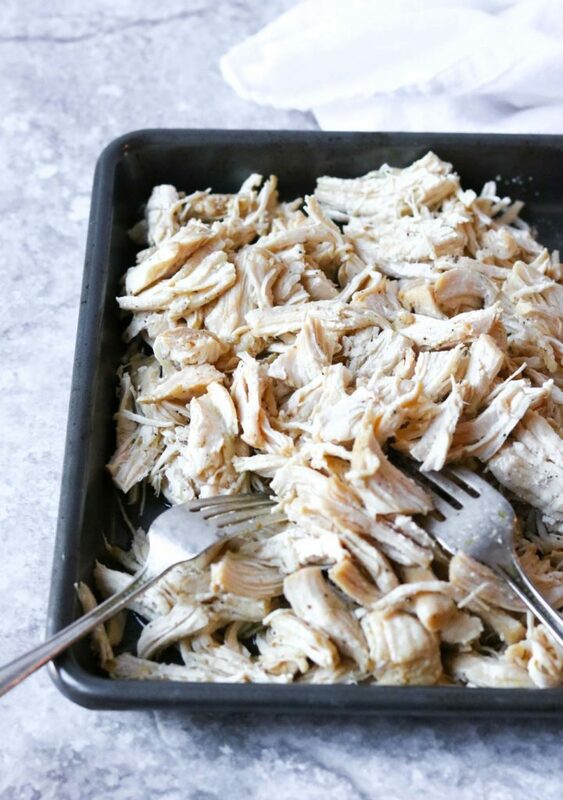 We all love a good chicken recipe and this recipe for INSTANT POT All-Purpose Pulled Chicken is no exception. It cooks in only minutes with very little effort. It comes out flavorful and juicy- the perfect start to your dinner plans! Spicy Chicken Sandwiches: Brioche buns, Pulled Chicken tossed with Franks Red Hot Sauce, topped with pickles, and ranch dressing. My mouth is watering! Top a really good salad with chicken. The Honey Mustard Chicken Bacon and Avocado Salad from Cafe Delites is one of my favorites. Just sub pulled chicken for the grilled marinated chicken…I promise it will still be really good! Italian Chicken Sliders: Slider Buns, Pulled Chicken mixed with marinara sauce or pesto, add a little fresh or dried basil and oregano, garlic powder, salt and pepper. Top the chicken with mozzarella cheese and melt in the oven for a minute or two. BBQ Chicken Sandwich: Mix the Pulled Chicken with a your favorite BBQ sauce and serve heaped on top of a bun…don’t forget the pickles and napkins! 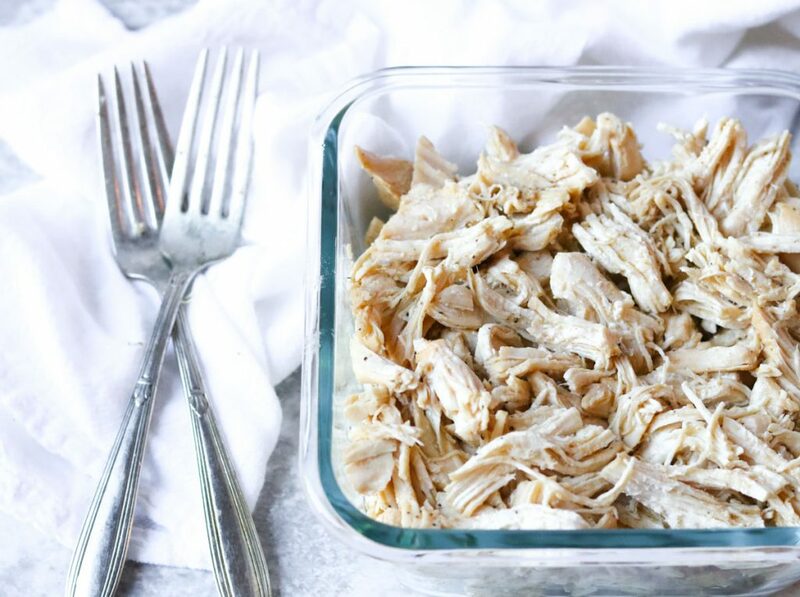 I hope you give this recipe for INSTANT POT All-Purpose Pulled Chicken a try in your kitchen! 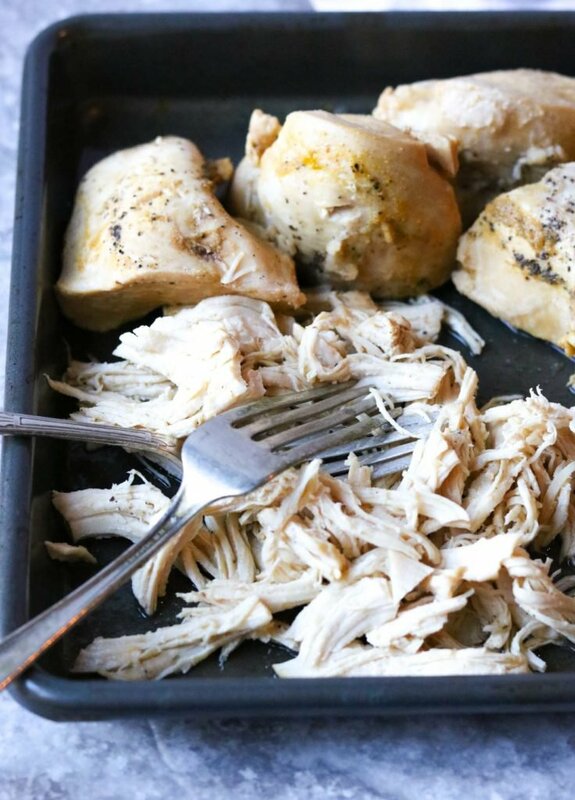 Juicy pulled chicken cooked in an instant pot in minutes. This is an all-purpose chicken recipe, it is a great start to your dinner plans, especially during a busy week. ½ teaspoon pepper increase to 1 teaspoon if you like a lot of pepper! Cut the chicken breasts in half, widthwise. Place the chicken breasts in the Instant Pot. Pour the chicken broth and worcestershire over the chicken. Then sprinkle with remaining seasonings. Close the lid and turn the pressure valve to seal. Cook on Meat/Stew or Pressure mode, on high, for 7 minutes. At the end of 7 minutes let the pot do a natural pressure release for 6 minutes. Turn the pot off and turn the pressure valve to vent to quick release the remaining pressure. Take the chicken out of the pot and let it rest for 5 minutes. Shred the chicken using 2 forks or clean hands. 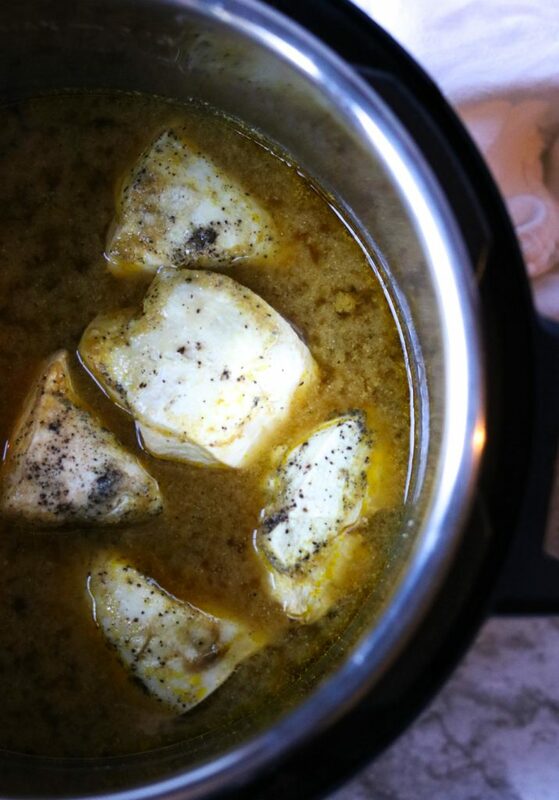 Pour 1 cup of the juice from the bottom of the Instant Pot over the chicken before storing in the fridge. Keep in the fridge for up to 4 days or according to your chicken expiration date. Definitely trying this. 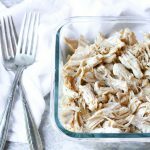 I make pulled chicken a lot in my instant pot but it’s alwasy too dry. This looks way better! Oh good! I hope you love it. Wow. This pulled chicken looks amazing! 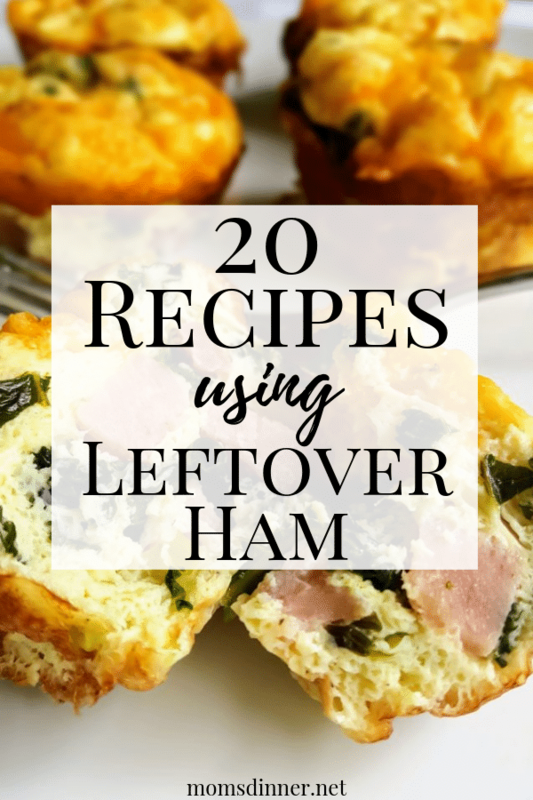 I love my instant pot and am always looking for other things to make in it! 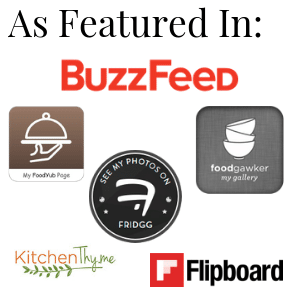 I can imagine how versatile the pulled chicken is and it can go in so many dishes. The wheels are turning! I’m trying this real soon. 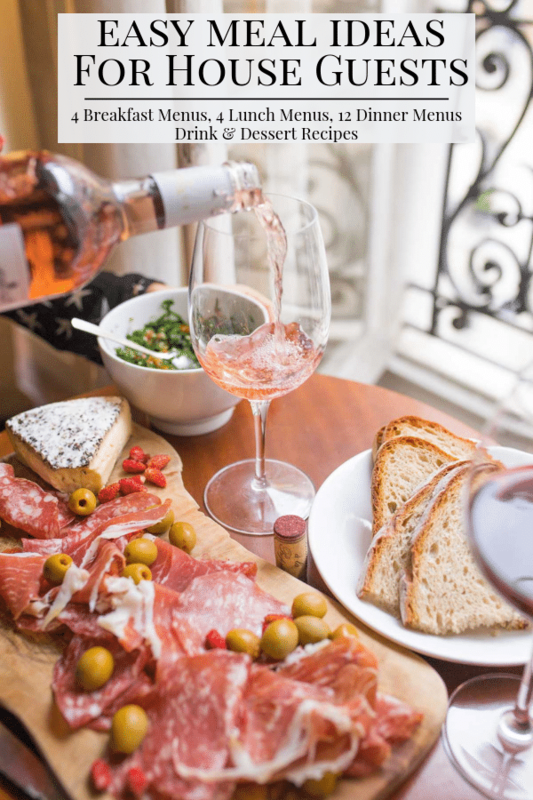 I got my IP this past Christmas, so I am really excited to try making some summer recipes too! This chicken recipe is the great for weekly meal prep- it stores really well in the fridge. It never fails to surprise me how useful an Instant Pot can be. Looks like such a versatile recipe too! I absolutely love my Instant Pot! This recipe is a great start to a lot of chicken recipes.